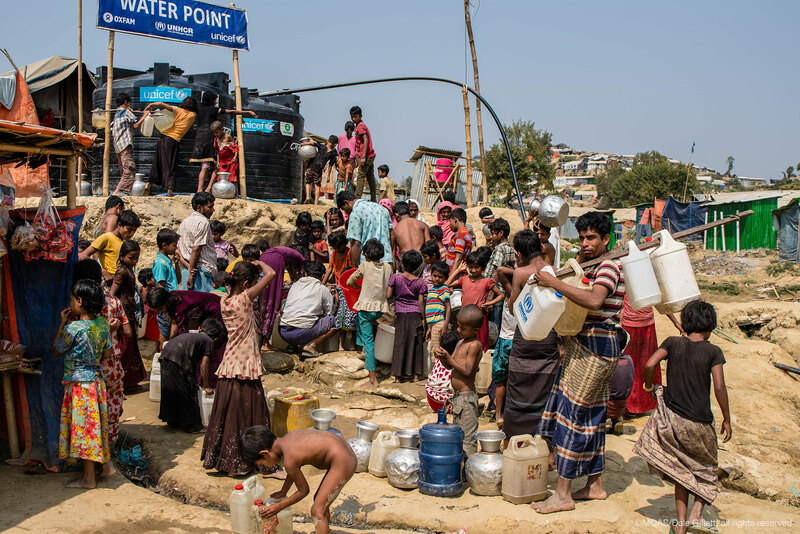 Did you know that that there are an estimated 3.5 million Rohingya living around the world. 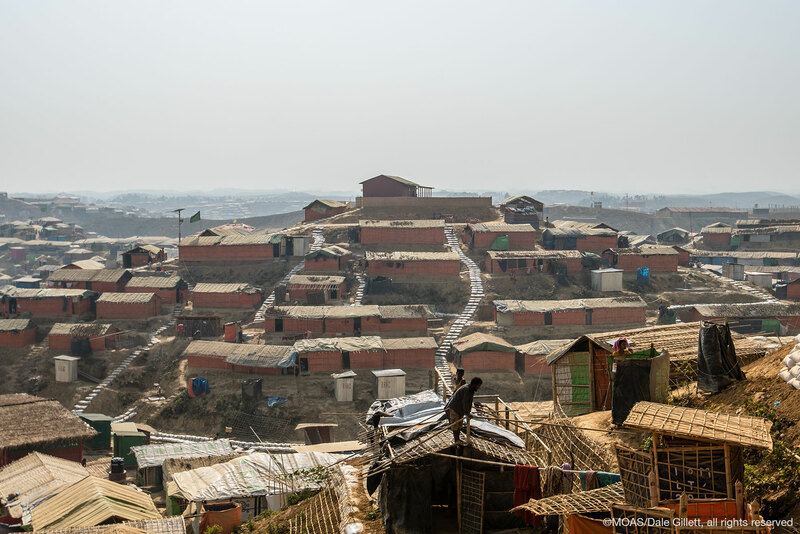 Bangladesh is currently home to nearly a million of them, but they live in many different places and their lives and challenges differ greatly, continent to continent. 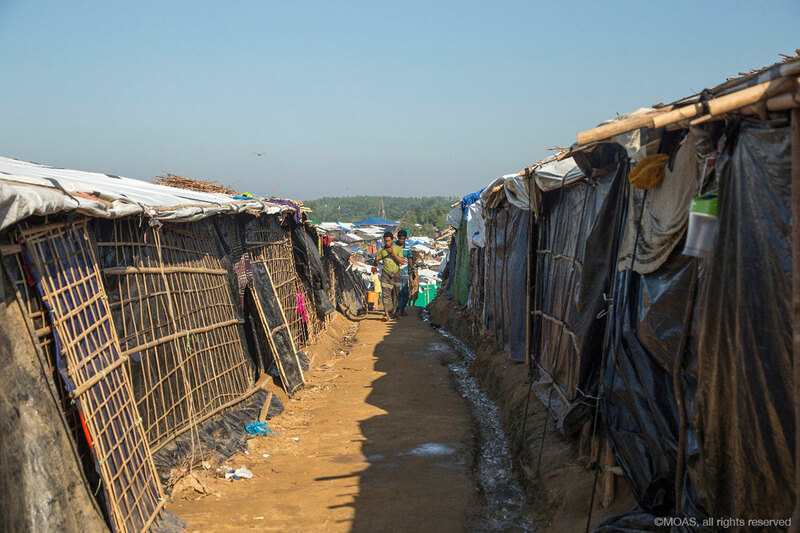 To mark the 20th year of Refugee Week, the MOAS podcast is speaking to two members of the global Rohingya diaspora. We wanted to learn about what forced them to leave, their journeys, challenges and their resilience. Both now live in Europe, a place where very few Rohingya manage to reach. They consider themselves lucky. Abul Kalam is the Founder and chairperson of the Swedish Rohingya Association and one of the founding members of the European Rohingya Council. He’s been living in Sweden with his wife and children since 2003, but he originally comes from Tulatoli in Northern Maungdaw, Rakhine State. His connection to the crisis runs deep. Not only did he flee Myanmar twice, 1978 and 84, he’s also kept up with his relatives and the people of his village who’ve recently fled. 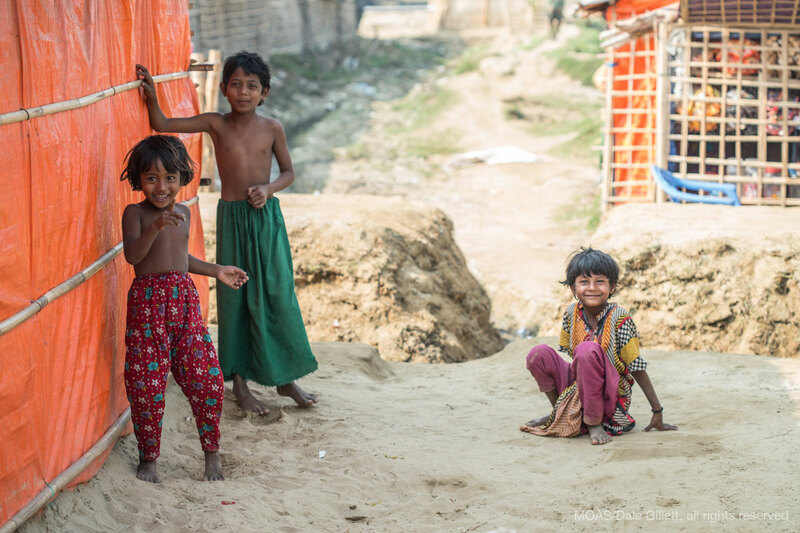 They’re all now in the Bangladesh refugee camps. Witnessing what the Rohingya continue to face, he’s been pushing to help them. ‘Me and my wife and my two kids, 9 and 7 years old were all very disturbed because on social media and other media, they were showing many pictures and videos of the Rohingya massacre, the genocide of the Rohingya. In my village, I found out the death toll, there were 400 dead including small kids and babies, men, women and pregnant women and the elderly, all slaughtered by the Burmese army and Rakhine extremists. I lost many of my relatives. I can’t describe our thoughts and feelings. It became too much to take, my wife was traumatized, I became sick. How has living in Sweden made you feel about about the crisis for Rohingya as a whole? What would you say are the biggest challenges you’ve faced in Sweden? ‘ It’s very important to connect with our community and share their difficulties. It’s too important for me. For me we are just 37 families living in Sweden. Many of us were resettled by IOM and UNHCR from third countries like Thailand, Malaysia, Indonesia and Bangladeshi refugee camps. We Rohingya are like a family. All the villagers know eachother like a family member. As a single family in Stockholm, it is too difficult for me to live. I am looking around and seeing the Turkish community, the Iranian, the Somalian, from Iraq, from Kurdistan, from Syria. They have a lot of people, they can integrate and share their difficulties with eachother. But in Stockholm we don’t really have this opportunity because we are just two or three families. There are more families living outside of Sweden, settled by the United Nations and IOM. There is one big challenge still facing Abul, helping his own family. They’re currently in detention facing an uncertain future. And, for security reasons he can’t visit them. Anita Schug is a neurosurgeon currently living in Switzerland. She left Myanmar around 1985, when her father, a chemical engineer and member of the pro-democracy movement, was forced to leave. One night, she joined her mother and older sister on a journey that would go on to test both her physical strength as well as her resilience to carry on. ‘Our long journey it started from Myanmar. Unfortunately, we were living with our grandparents and one day, because of the security threat, first my father left, then us. I remember very clearly, it was very dark late at night, and my mum and me and my elder sister, we secretly took a rickety boat. I remember very carefully and very clearly that my grandma, we could not say goodbye to her because she would cry, so she was locked in the house and we had to secretly move towards the boat. There were some people who were waiting for us, together with other people who were fleeing the land. We headed for Bangladesh. I’m sorry if I break down because it was a very traumatic event for me and I try to control my tears but sometimes I cannot and I’m really sorry about that. The boat started to sink and somebody pulled me out of the water and carried me on his shoulder. Then we reached the shores, we stayed, we could not reveal that we are Rohingya and that we are Burmese. We stayed hiding in Bangladesh, having very little to eat. Even my mum, she had to stay without food because her portion of food, she had to share with us to fill our hungry tummies. We stayed in Bangladesh for a couple of months, and from there we walked to Pakistan. It was very difficult. There were other people with us on our way to Pakistan. There were a few grandparents who were carrying their grandchildren, among them young girls around the age of 10 or 12. Because the journey was very difficult, was very physically challenging, some of the old people, they sold their grandchildren on their way to Karachi to old people. Retrospectively, I believe it was not that they wanted money. I believe these old people sold their grandchildren, not for the money, but to give them a secure life because they knew that all of them together would not survive the long distance. What was it like coming to Europe? ‘You know, when you are stateless, when you lose your motherland, when you lose your community and you’re not welcome there, and you have no choice but to leave because of fears for your life, then you keep on travelling because stateless people, they don’t end up in one country, most of them have to keep on travelling to different places until they can find somewhere welcome, that they can call home, that they have roots in that place. So, I never thought I would be travelling to Europe. I was happy with whatever little I had. In Saudi Arabia working as a doctor, I faced one particular difficulty. The people are very nice there no doubt, but the system does not accept foreign doctors to get post-graduate education. This is the reason why I said, ‘I can’t be a general practitioner all my life. I want something more, I want something challenging’. Do you still have family in Myanmar that you still keep in contact with? ‘I have my close family members, my relatives scattered all around Arakan or Rakhine State. I keep in close communication with them, I’m in touch with them. Firstly, because I want to show them the moral support and I want to be there in the worst humanitarian time of our Rohingya history. Unfortunately, every communication, each and every communication ends up as if it will be our last goodbye. My relatives, my aunts, my cousins, they are living under constant fear. The situation has got to so worse that they wake up very early in the morning. In a day, they have only one meal, which is breakfast, which is dinner, which is supper, which is lunch. They are ready in a flight mode, a way that if something happens they can try and escape or at least try and save themselves. The worst part, I once had to confront the question from my cousin who is 6-years old. He wanted assurance from me that the military would not attack their village and not attack them. I had to keep quiet because I cannot assure or give this little boy false hope that they would not be attacked. How did you feel about seeing the recent crisis unfold on screens and social media? When you ask about the news and the videos, what we see in the media. It’s very difficult for us because it’s not only the video that you see, it’s not only the visual aspect of the violence which you have to see, but also the cries, the voices of people crying, the children crying, screaming for help. Every tone has terror in it, every tone has a message in it. For every Rohingya, it is worse to see this, a human tragedy. Sitting far away from them and not being able to help them is the worst. I wish that I could be there physically there to help our people who are in dire conditions, who are screaming to be saved. 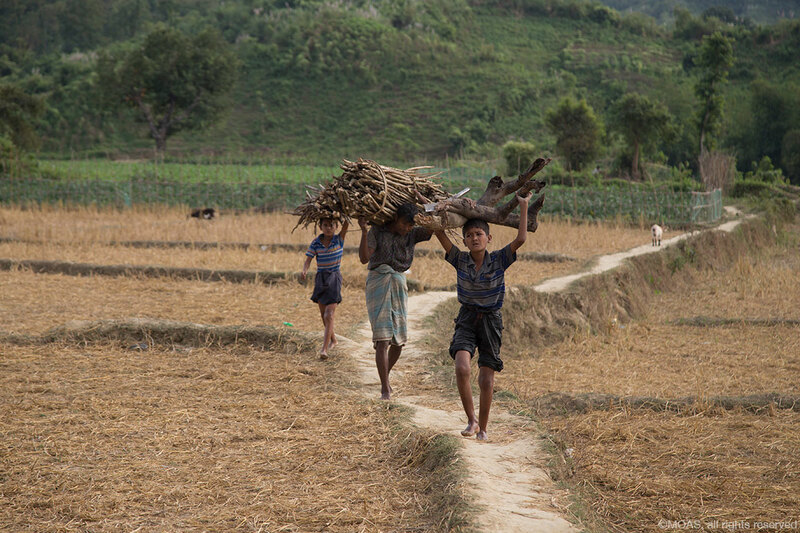 These are the stories of only two Rohingya, just two in a possible 3.5 million tales. They speak of harrowing escapes and the testing journeys which brought them to this day. Yet, living so far from the current crisis, they’re still deeply affected by and connected to its events. That’s why they’re trying to raise awareness. They want to help them, they want to prepare them for the future. For now, that future is still unknown. You can also follow us on our social media. 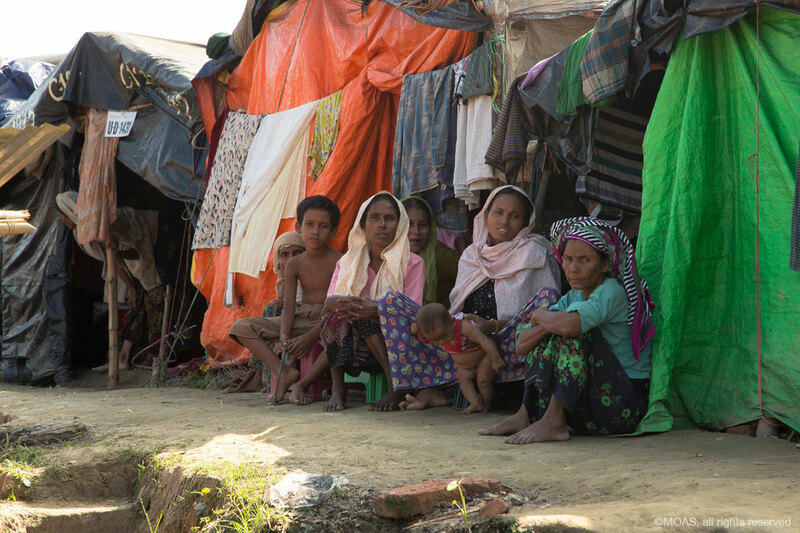 Check out our latest updates on Facebook, Twitter, Instagram, Youtube and AudioBoom… or you can donate to help us help Rohingya refugees . From all of us here at MOAS: goodbye.